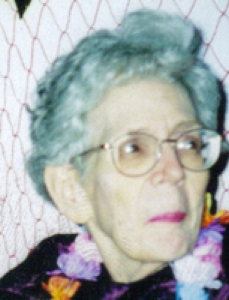 Joan McKinnon, 84, Sidney Care Center, Sidney, Ohio died at the nursing home on Tuesday, October 10, 2006 at 1:20 AM. She was born September 19, 1922 in Olean, New York the daughter of Robert and Mildred (Delmaker) McKinnon and they are deceased. Surviving is one brother, Robert Heber and his wife Linda of Kirkwood, Ohio and four nieces and nephews, Charles Heber of Atlanta, Georgia; Diana Heber of Piqua, Ohio; Michael Heber of Piqua, Ohio; and Patrick Heber of West Milton, Ohio and one great nephew, Chase Allen Heber of Vandalia, Ohio. She was in the United States Marine Corp. in the Korean War. She was a member of the Presbyterian Church in Pittsburg, Pennsylvania. She had worked for the State of Florida Land Bank and also had been an English teacher in Lancaster, Ohio retiring in 1991. There are no calling hours and burial will take place at a later date at Memorial Gardens, Pittsburg, Pennsylvania. Salm-McGill and Tangeman Funeral Home is handling the funeral arrangements.